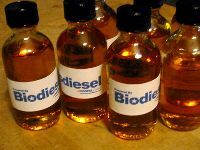 Recognizing the widespread interest in biodiesel, the 2008 Farm Bill contains a number of programs that support a nationwide supply of biodiesel from a wide variety of sources. These programs include continued support for Advanced Biofuels production incentives, the Rural Energy for America Program (formerly Section 9006), Biorefinery Assistance, Federal Biobased Market Procurement, and Biomass Research and Development. (For an overview of these programs, download our 2008 Farm Bill energy program memo [pdf file]). The Rural Energy for America Program (REAP), has been a key part of the USDA’s efforts to advance biodiesel production. 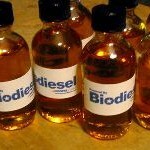 Between 2003 and 2006, 24 projects have received funding for biodiesel production. These awards amount to over $16 million in grants and guaranteed loans, and represent projects that will produce a total of over 86 million gallons of biodiesel per year. All these projects have local owners. The new Farm Bill also includes a number of new programs that will support advanced biofuels. The Rural Repowering Program will assist converting biofuel boilers to burn energy crops instead of fossil fuels, cutting pollution and creating new markets for energy crops. The Biomass Crop Assistance Program is a first-time effort to encourage producers to grow sustainable energy (non-commodity) crops such as camelina or canola. Support for biodiesel education is also moving forward. The University of Idaho, a national leader in biodiesel research, will now focus its activities on technical support and education. With the help of the Biodiesel Fuel Education Program (Section 9006 of the 2008 Farm Bill; formerly Section 9004), the University will provide support for those considering use, production and distribution of biodiesel. The University’s education program focuses on outreach via workshops on such things as production technologies, sustainable business plans, and blending. Their activities are also unique in the nation because they deal primarily with oilseeds commonly grown in the Northwest, like canola and camelina.